For fifteen years now, I’ve had the rather grand and humbling privilege of teaching the entirety of the U.S. Constitution to freshmen each spring semester in the American Heritage core course. As I’m sure many of my colleagues do, I force my students to know each of the seven articles (1787) in detail, along with the first 10 amendments (1791). We spend quite a bit of time discussing the nature of republican government, the influence of the western tradition on the structure of the document itself (especially the three branches of government), and the actual debates among the convention members. While I applaud faculty across the country who look to The Federalist Papers as a source for understanding the moment and the era, it should be noted, as well, that it’s never enough to look at The Federalist Papers merely, as if they constituted some ideological, cohesive whole or as if they presented answers to all constitutional questions. These were the sanitized arguments in favor of the Constitution, written originally as editorials for the New York newspapers. They are brilliant, of course, but they can only be understood in the context of the ratification debates as a whole. To teach them in isolation of the other documents of the time, pro and con re-ratification, is to offer a sophomoric, adulterated version of a very complex issue and moment in history. The best way to understand the convention as well as original intent is not through The Federalist Papers or through the various collections of Anti-Federalist papers but rather through the various notes as recorded by James Madison in Philadelphia, May through September 1787. These notes and recollections probably sober the reader more than they inspire, as they expose the founders as real men and crafty politicians rather than as the unsoiled demigods of republicanism or as the self-interested proto-corporate cronies so feared by the left. Though I admit the simplicity of the division for the sake of classroom discussion and argument, I contend that, in essence, the two most important thinkers at the convention were James Madison, the brilliant young upstart with a never-ending supply of ideas, and John Dickinson, the seasoned sage, both ready to check the excesses of one another. Each, of course, ardently supported ratification of the document after September 1787, so it’s not possible to present a Manichaean division as some have done with the Federalists and the Anti-Federalists. I once had the misfortune of witnessing a speaker from a rather interesting group called Consource dismiss all of those who voted against the ratification of the Constitution as no-longer American and, therefore, unworthy of discussion when considering the document itself. Unable to restrain myself, I audibly gasped when the speaker said this in her lecture. With many others, including most of the intellectual patron saints of The Imaginative Conservative, I consider the constitution one of the finest—if not the finest—political document ever devised and written. Like anything on paper though, it’s only worth what we believe it to be worth. If we, the American people, pressure the powers that be to honor the first amendment, for example, it has a far better chance of being observed than, say, the 9th or 10th Amendments, which most Americans have simply ignored over the past two hundred years. Not surprisingly, government has almost always ignored those amendments as well. 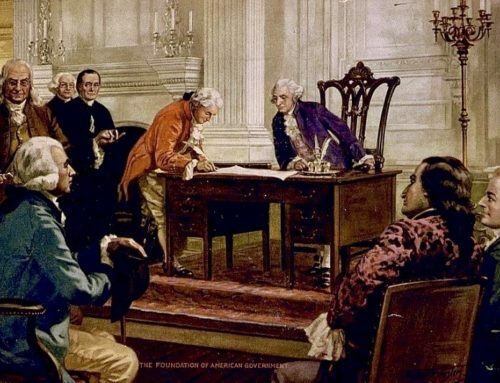 In large part because of what I teach and where I teach, I am often asked what the non-academic American should read about the founding or what a smart junior high or high school student should read to understand the Declaration or the Constitution. I always offer the same suggestion: find the writings of the founders themselves and read as deeply as possible. This is not to suggest that historians and other scholars have not offered substantial commentary on the period. They most certainly have. I can think of more than I could quickly list here: Kevin Gutzman, Forrest McDonald, Don Lutz, Bruce Frohnen, Trevor Colbourn, Caroline Robbins, Douglas Adair, and many others immediately come to mind. Even the best historical interpretation lacks the authentic voice of the founding, however. I more often than not remember one of the first and most interesting (of many) conversations I ever had with Winston Elliott and John Willson, two of the best read men I know when it comes to the scholarship of the founding. As we were talking and I, being a bit cocky, kept pestering the two of them about Natural Rights and the “[F]ounding,” Willson finally stopped me and asked, “Which Founding are you talking about, Brad? There was no Founding; there were multiple foundings.” Being in the heat of the debate, I probably didn’t give John or Winston the just response. As I walked away from that conversation and meditated on it, though, I realized that John was and remains absolutely right. If George Washington alone cannot represent the founding, then Gordon Wood most certainly cannot! Willson, by the way, has given a full account of his argument, reprinted at The Imaginative Conservative. He wisely argues that while one can speak of a common experience shared by many of the founding generation, the modern scholar or commentator cannot with any real justice speak of a founding. But, again, I would encourage any person to study the writings and thoughts of the many founders themselves—in all of their many and varied voices. They were, not surprisingly, quite interesting. Not only well-educated, formally and informally, the founders understood and employed the classical art of rhetoric. They wrote not to confuse but to enlighten (in the best sense), elucidate, and persuade. They actually wanted to be understood and for their plain arguments, not for some obscure political purpose or with gnostic obfuscation in hopes of presenting a predestined elect with some secret handshake. In this digital era, there are a number of sites to praise—such as the Avalon Project. But, in terms of aesthetic design, searchibility, usability, and sharability (yes, I’m making up words), no site can even touch the Online Library of Liberty in every aspect of excellence. Twice now, I have taught an upper-level college course using this site almost exclusively for the assigned readings from my students. While I also supplemented each course with Edmund Morgan’s fine little Birth of the American Republic as a modest outline of the era, I relied upon the Online Library of Liberty. Every one of these is available in a variety of searchable formats at the Online Library of Liberty. Frankly, not only does this save the students money, giving them permission them to bypass the insanity of the textbook market, but it also allows them to communicate with, and engage rather directly the actual participants of the founding period. 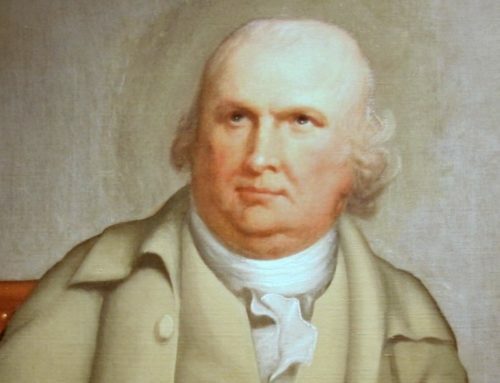 Looking at the various histories of the American founding, one can divide (as I have elsewhere) historiography into a myriad of republican, commonwealth, Whig, neo-Whig, liberal, Protestant schools, and so forth. Such a division is perfectly acceptable if we want to understand how post-revolution scholars used and viewed the time period for their own benign or nefarious purposes. But, if we want our students at any post-primary educational level to understand the founding era for what it was, we should have them engage the members of that period directly. Thanks to real progress—in technology, not in moral faculties—our students writ large are more able to appreciate the founding era than at any other time in our history. I would like to mention the University of Chicago site (working with The Liberty Fund) called “The Founders Constitution” http://press-pubs.uchicago.edu/founders/ – it’s organized around the Constitution, with different relevant documents discussing the section and historical documents dealing with the theme. For example, under the Bill of Rights, in Amendment 1 dealing with religion, one finds links not only to state acts dealing with religious freedom, but to John Calvin, John Locke, Story’s Commentaries, and writings of Founders on the question. Great, great article. “If George Washington alone cannot represent the founding, then Gordon Wood most certainly cannot!” Good line, even if I think that the Jeffersonians–and Madison’s tortured place among them–do come near to capturing the entire moment. Two non-negligible nits to pick: I applaud your rebuke of the one-sidedness of teaching only the Fed Papers, without more (happening at places like Hillsdale, Claremont, etc.). But, if the Antifederalist Papers are taught alongside the Fed Papers, the dialectical, adversarial system self-corrects when each party “corrects” the previous (the way all debates operate). And it is becoming a bit of a popular caricature to say what you’ve suggested about the Fed/Antifed Papers: i.e. that they’re mostly rhetorical. Conversely, what was indispensable about them was the fact that they prefigured the Montesquieuan terms (in a “cool, deliberate fashion”) upon which the greater debate was to be waged from ‘86-‘88: Feds #10, 39, and 51 (and the Antifed rejoinders) reflect the three major ways that Madison flippantly overturned Montesquieu, and about which the Antifederalists were continually yelling for the remainder of 1786, 87, 88. Including at the conventions. #2: I had the privilege of working under Mike Rappaport for an entire summer on the line by line parsing of the most of important of the 1788 state ratification conventions: Virginia’s. Along with New York’s, Pennsylvania’s, and North Carolina’s, one gets a far starker sense of connection with the Fed/Antifed Papers, than one gets from the 1787 convention itself. That is, the 1787 convention was arguably the most ideologically tainted of all three three categories of ratification debate. If I had to cardinally order these in importance, I’d still probably count Fed (WITH Antifed!) Papers as #1; the important state conventions/debates #2; 1787 Philly convention #3, for the simple reason among others that its representation was algebraically, not geometrically proportional: while the best, say, 35 constitutional theorists in the States were relegated to mostly three states (VA, NY, PA), very few of these 35 were present at Philly, in order to get everyone (sans Rhode Island) there. Not to mention: Philly was a runaway convention, and nearly the first half was spent on quelling people’s utter confusion and shock at the illegality of what was happening.